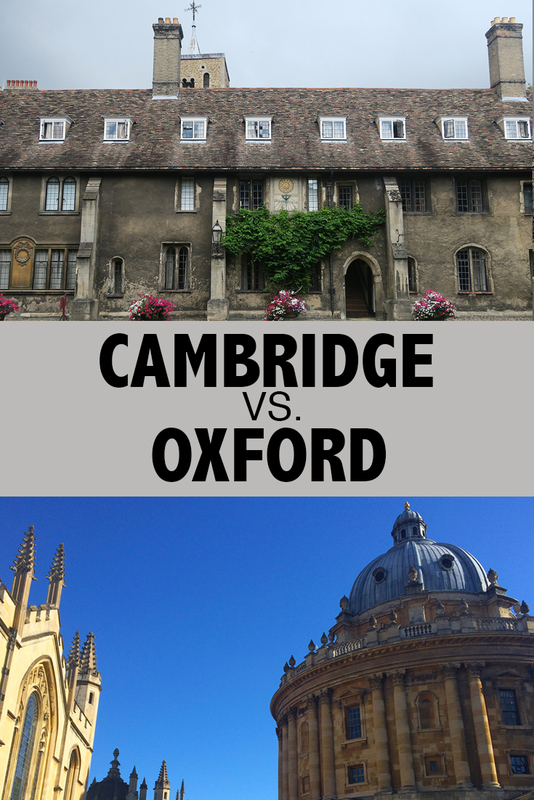 >> Should You Visit Cambridge or Oxford? Wandering through the streets of Oxford. You’re in the United Kingdom for a limited amount of time and want to see one of its famous Universities. So, which one should you choose? Should you visit Cambridge or Oxford? At the time of writing, the University of Cambridge is ranking two better than the University of Oxford on the list of top Universities worldwide (they hold 4th and 6th place, respectively). The question is – which British town is better for tourists? I made short trips out to both places whilst I lived in the UK and to be completely honest, I liked them both a lot. However, there’s nothing wrong with a bit of healthy competition, so I’ve come up with five bogus categories and decided on the winner of each based entirely on how I was feeling at the time. In the interest of full discrepancy, I spent two full days in Oxford and only one day in Cambridge. I would have liked to spend more time in both cities! 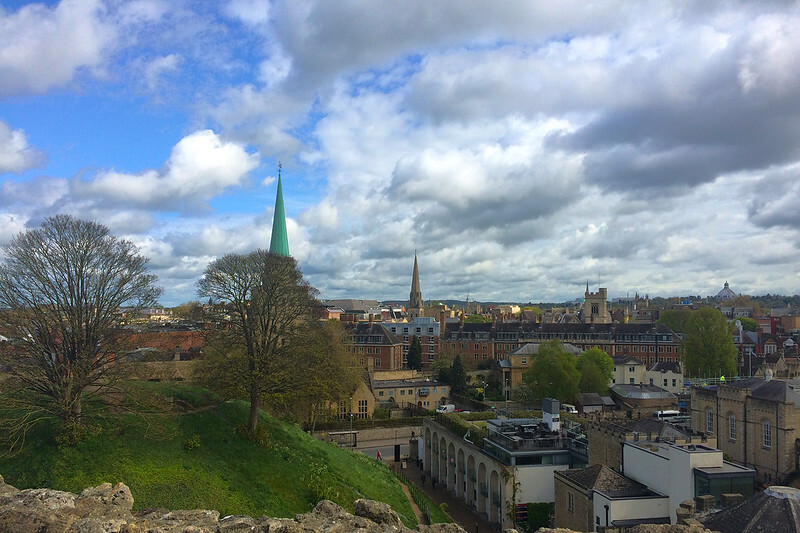 (Here’s an itinerary for a spring weekend away in England, which includes a stop in Oxford!). 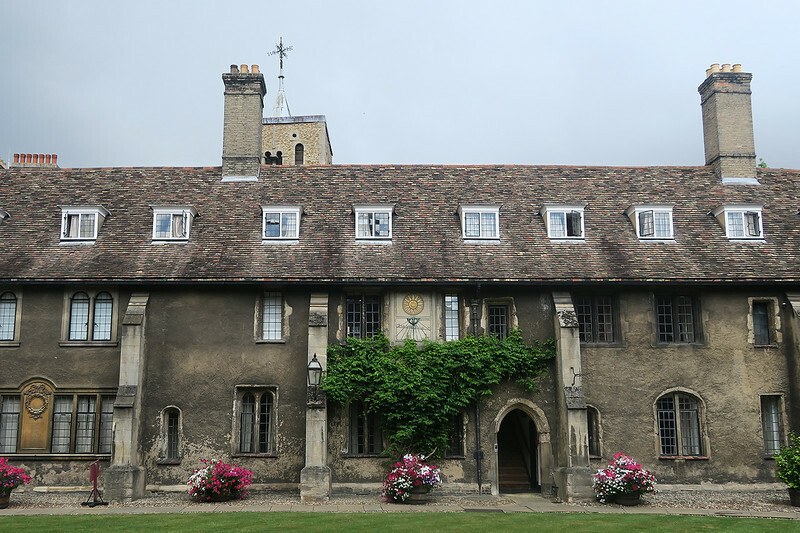 This is England… or Corpus Christi College in Cambridge. This was basically decided by me strolling around, trying to imagine which university I could see myself attending, if I were around thirty IQ points smarter and more than just British by nationality. In the end, I decided on Oxford. I don’t know what it was precisely that set it apart – the student vibe just seemed a bit stronger. It probably helped that I visited whilst the semester was in session rather than the summer holidays, but then you can’t have everything in life. This is hard, because both towns have a lovely, gothic architecture-y thing going on. Yet of the two, Oxford came out on top, for several reasons. The first is that all of Oxford is beautiful. You get off the train and you walk straight into an English town as you may have always imagined it. The beauty of Cambridge on the other hand, is a little less obvious. It looks like any other place in England until you hike down the main road for a bit and the University suddenly springs up in front of you. Oxford inched out on top mainly due to the fact that its buildings were deemed awesome enough to be used in the Harry Potter films. You can find three features of the university in the movies – the Bodleian Library, and Christ Church and New Colleges. However, King’s College in Cambridge is pretty neat too, amongst many of the others. It’s a hard decision, really. You don’t have to be a student to enjoy all that either university has to offer. 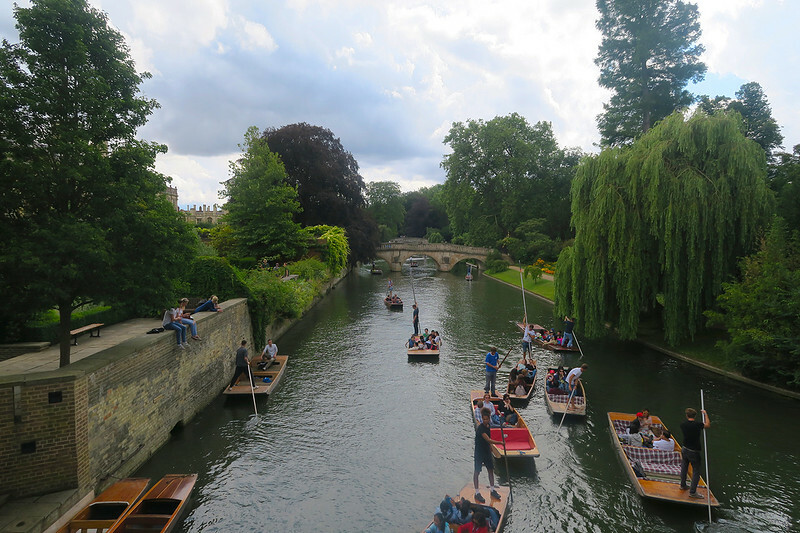 Sights and must-dos in Cambridge involve checking out the colleges (seen one, seen them all in my opinion though, so don’t go too crazy as they can cost a pretty penny), wander around the Fitzwilliam Museum, or go punting on the River Cam. Oxford highlights include the Bodleian Library, Christ Church Cathedral, Radcliffe Camera or checking out one of its many museums (I like the Natural History Museum best). Oxford Castle is quite interesting and offers a delightful view of the city. Should have bought some jammies so I could have pretended I went to school in Cambridge. I didn’t buy any rubbish souvenirs in Oxford (not even a novelty sweatshirt) besides a postcard or two. In Cambridge, I found a whole bunch of stuff, which had drawings by the artist Quentin Blake on them (best known of course for illustrating Roald Dahl’s children’s books). I immediately bought several postcards, magnets and tea towels and I remain quite pleased with this decision. 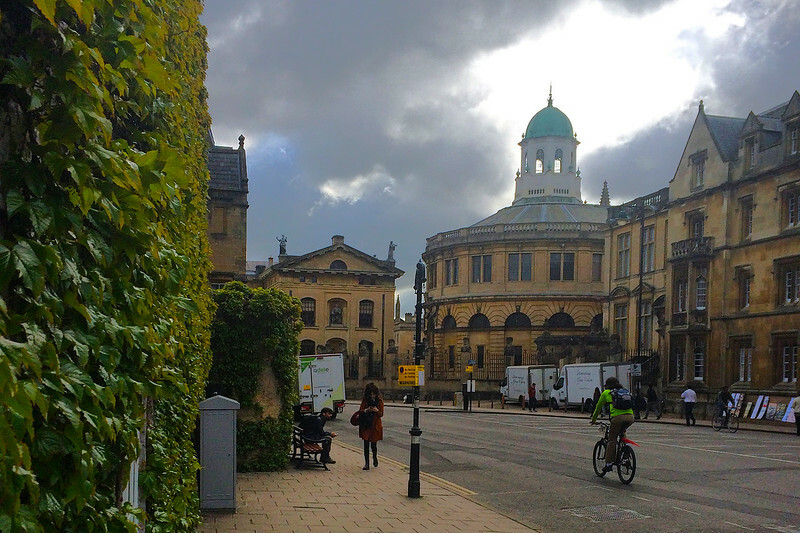 Oxford is closer geographically, but both are easily accessible from London. You can hop on a train or bus to get to Oxford in just over an hour (I think I paid £1 for a ticket there thanks to Megabus) and a train to Cambridge will see you there in under fifty minutes, should you grab the express. So, which one is worth seeing? Both, if you have the time. However, if you’re in the United Kingdom and are squeezed for time, I’d probably go with Oxford. Yet, either way, you won’t be disappointed. Have you been to either of the two cities? (Or both?!) Which one did you prefer, when being forced to pick a favourite? Oxford wins it for me too. I’ve only visited Cambridge whilst having lived (well Abingdon actually which is a not somewhere I would recommend!) and worked in Oxford which might make me bias. I think the more laid back studenty vibe in Oxford comes from the mix of Oxford and Oxford Brookes students so there’s less of an elitist vibe than Cambridge. Yeah it did seem… cosier somehow. I went to Oxford, so the answer is obvious. Cambridge is better for science, Oxford is better for literature and politics. Most UK politicians went to Oxford. So you cannot compare the two schools. It s like comparing MIT to Brown in the USA. Cambridge can be seen faster, so it might be a better option for tourists. 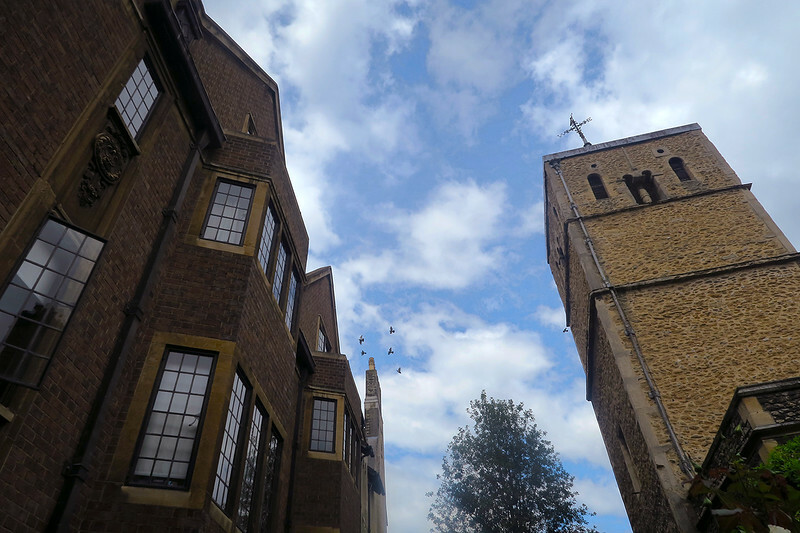 Oxford has more history and it is older, so it is best for a weekend trip. Ah yes. I’m not comparing the universities though, just having a ponder on which is a better pick for tourists to dip their toes into. 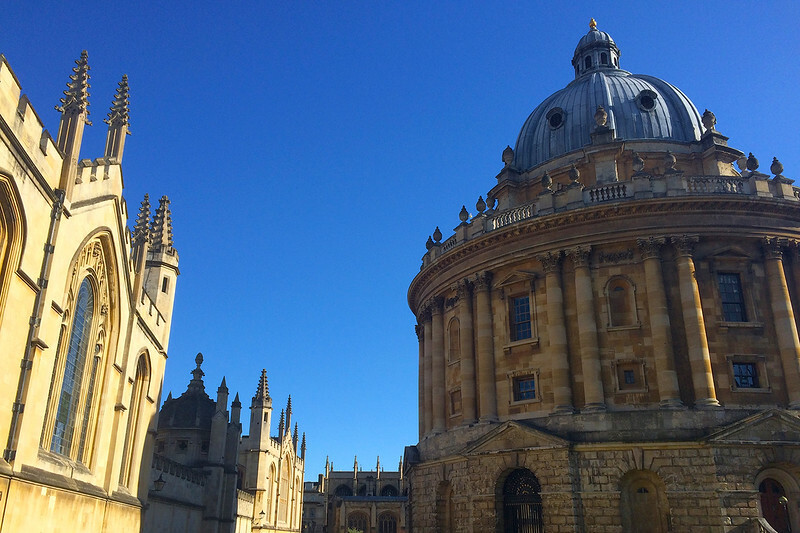 They’re both beautiful places – attending Oxford must have been loads of fun! I’ve been to Oxford may times and I love it!! Cambridge is still on my list, but I strongly believe that oxford is one of the most beautiful university towns in the world.